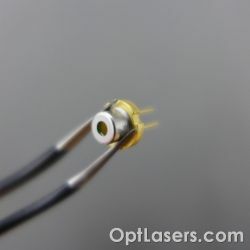 Opt Lasers is the supplier of many kinds of laser diodes. 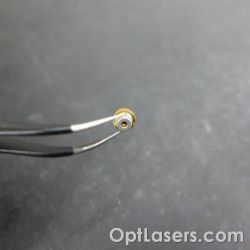 The laser diode is used in most areas, where laser systems are applied. There are so many kinds of laser diodes because each laser diode has many parameters, e.g., power, divergence, efficiency, wavelength. Due to the fact, we are not able to have every kind of laser diode in stock, so please do not hesitate to contact us if you looking for a specific laser diode. 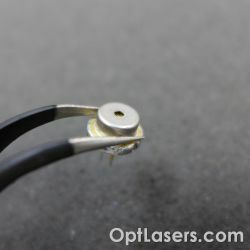 Also, there is the possibility to order high power infrared laser diodes such as a stacked 200 W, 808 nm laser diode. Products There are 12 products. 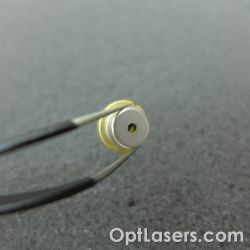 USHIO's 1 W violet laser diode with a wavelength of 405 nm The product is available on special order. Lead time 4 weeks. USHIO's 500 mW violet laser diode with a wavelength of 405 nm The product is available on special order. Lead time 4 weeks. NUBM44 is a high-power laser diode with 6 W of power from a small emitter. 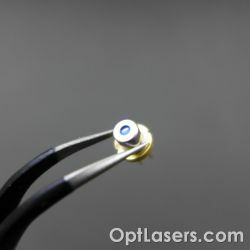 This blue laser diode is the highest power laser diode currently available for a laser with a single emitter or in a standard TO package. 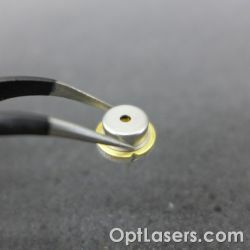 This GaN laser operates at up to 65 C without significant reductions to the lifetime. 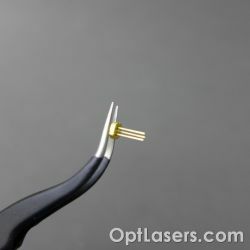 NUBM44 is also referred to as a 450 nm laser diode. 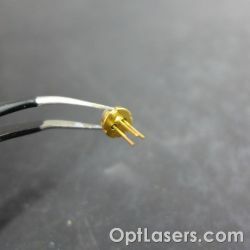 This is a PL520B 80 mW green single mode laser diode with a wavelength of 520 nm. 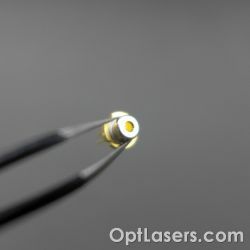 350 mW violet laser diode with a wavelength of 405 nm.This product is available on special order. Lead time 4 weeks. 700 mW red laser diode with a wavelength of 638 nm manufactured by Hitachi under the brand Oclaro. 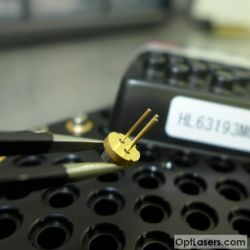 This is a GH04580A2G 80 mW blue single mode laser diode with a wavelength of 450 nm. 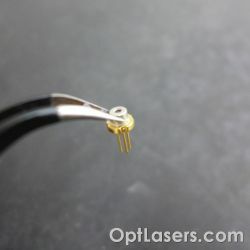 This is a GH0631IA2G 180 mW red single mode laser diode with a wavelength of 638 nm.